Brady, 40, discusses his future in football and new Facebook Watch series. 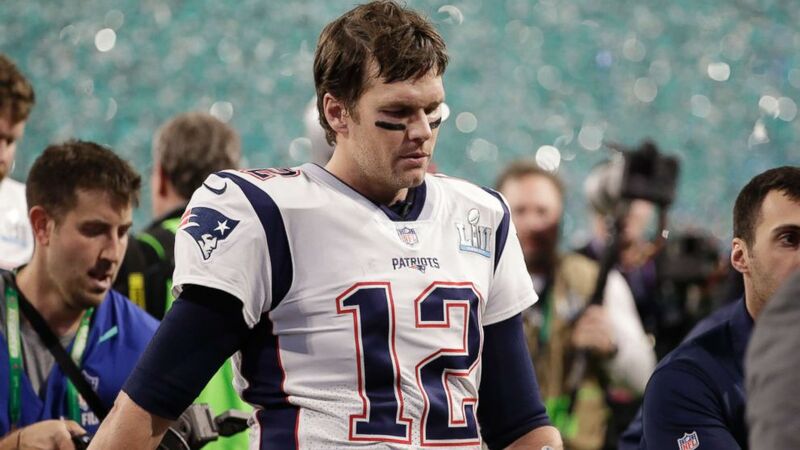 New England Patriots quarterback Tom Brady said his team's devastating loss to the Philadelphia Eagles in Super Bowl LII will stay with him for the rest of his life. 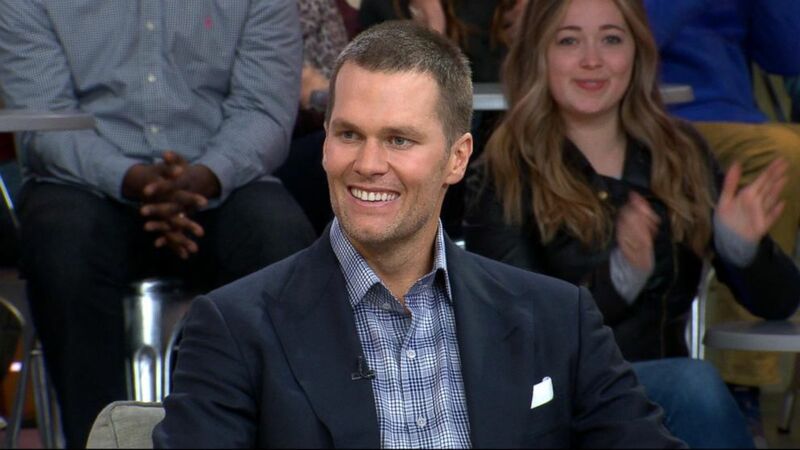 "I think you realize the sun comes up the next morning, your life goes on but, you know, those games live with you for the rest of your life," Brady, 40, said today on "Good Morning America." "That’s part of being an athlete. That’s part of being in a very competitive sport." 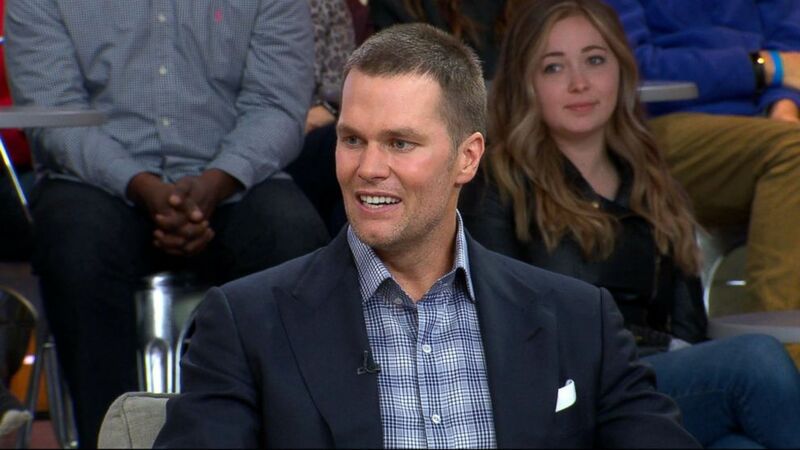 (ABC) Tom Brady speaks out on "GMA" about his Facebook Watch series "Tom vs. Time. The Patriots lost to the Eagles 41-33 on Feb. 4 in a hard-fought game that gave the Eagles their first-ever Super Bowl victory. (Chris O'Meara/AP) New England Patriots quarterback Tom Brady walks off the field after the Patriots lost Super Bowl 52 against the Philadelphia Eagles, Feb. 4, 2018, in Minneapolis. "I’m proud of our efforts throughout the year," Brady said. "We overcame a lot of adversity, like you always do in order to get to that game. But we just came up a little bit short." Brady said he is "definitely" already looking ahead to next season, while taking into account his growing commitments outside of football. "I think it’s just processing what happened last season and how you can be better the next season. There’s no real formula for it," he said. "I think every year is a little bit different. There are different things that happen in your life outside of football." "I think one thing that has gotten a little challenging as you get older is there’s just different priorities and different commitments," Brady continued. "You’ve got to be able to allocate your time the right way. There’s a lot of people that really need your time and attention." Speaking of his Facebook Watch series, "Tom vs Time," Brady added, "How you find that balance really was a big part of what ‘Tom vs Time’ was all about, trying to find some balance between, you know, my family life and what my kids need and what my wife needs and what my football team needs." The five-time Super Bowl champion said that shortly before this year's Super Bowl game he video-chatted his wife, Gisele Bundchen, and their daughter, Vivian. 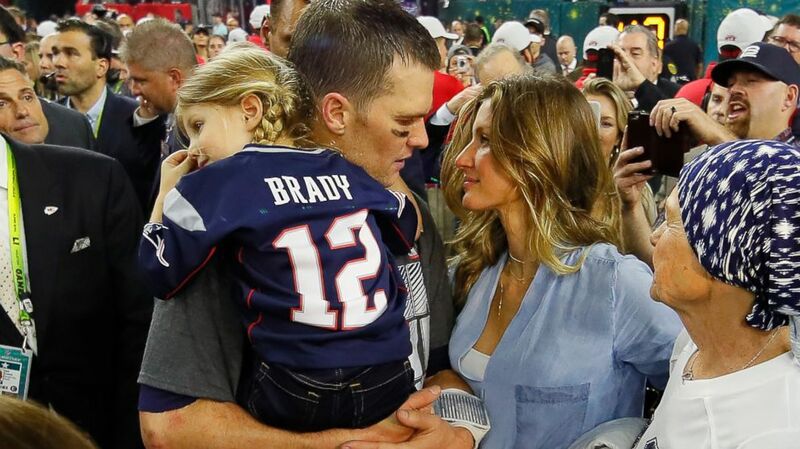 (Facebook Watch/Tom vs Time) A scene in "Tom vs Time" shows Tom Brady video-chatting his wife, Gisele Bundchen, and their daughter, Vivian, before the 2018 Super Bowl. "Daddy, we are here to make you win," Vivian, 5, can be heard telling her father in a clip from the final episode of the Facebook Watch series "Tom vs. Time," that aired on "GMA" today. "Yeah, you are, you're going to help Daddy win," Brady says in the clip. "I know you're going to cheer so loud." The Facebook Watch docu-series, which premiered earlier this year, offers fans an intimate glimpse into Brady's intense training and his life off the field. "It’s great to show the fans a different part of my life," he said. "They see so much football and Sunday afternoons and wearing helmets and the intensity." "I think athletes are dealing with a lot of other things as well, there’s family issues," Brady added. "I have three still young children and it was great to show all those fans a different part of my life." 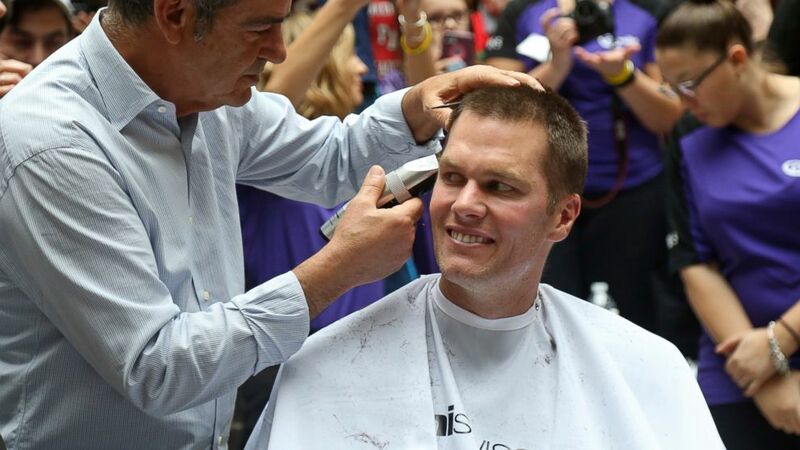 (John Wilcox/Boston Herald via AP) New England Patriots quarterback Tom Brady gets his head shaved by Pini Swissa at the "Saving By Shaving" event in support of the Dana-Farber Cancer Institute at Granite Telecommunications in Quincy, Mass., March 8, 2018. The "Tom vs Time" series sheds a light on the balance Brady struggles to find between his family and his love for football. "I have a wife that aspires to be a lot of things and she travels a lot. My oldest son lives here in New York," he said. "Three kids and you’re just always trying to juggle and you want to be there for them and you want to be there for the hockey games and the soccer games, but you also realize the level of commitment it takes to give as much as you can to the team that needs you." (Kevin C. Cox/Getty Images) Tom Brady of the New England Patriots celebrates with wife Gisele Bundchen and daughter Vivian Brady after defeating the Atlanta Falcons during Super Bowl 51 at NRG Stadium on Feb. 5, 2017 in Houston. Brady added, "I think most professionals probably feel the same way. Sometimes it gets out of balance, and you’ve got to figure out how to bring it back to a point where it feels great for everybody involved." Brady wed Bunchen, 37, in 2009 and the couple has a son, Benjamin, 8, in addition to the boy's younger sister, Vivian. Brady also has a son, John, 10, from a previous relationship with actress Bridget Moynahan. As for his future in football after 18 seasons in the NFL, Brady said his family will play a "big part" in his decision about how many more seasons he plays. Now this makes my day!!! Go Pats! Great win boys! Let's go get another one! ???????? "I think you can’t make decisions necessarily just for yourself," Brady said. "I think that’s one thing I’ve learned as I’ve gotten older. There’s collateral effects to every decision that I make." Brady added that football brings "a lot of joy" to his life and he wants to continue playing as "best" as he can. "It’s been such a great love for me. I love the sport. I love the competition. I love my teammates. I love working with people that I love to work with," he said. "That part is really hard to give up, especially when I feel like I could do it and I look around the league and I see these other quarterbacks. "I want to continue to do it as best I can because it really brings a lot of joy to my life," Brady said. The final episode of "Tom vs. Time" airs today on Facebook Watch at 12 p.m. ET.